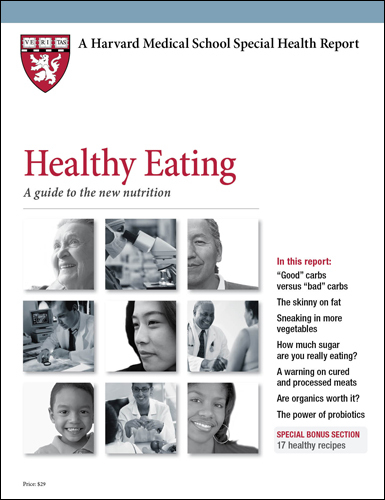 FOR A LIMITED TIME, SAVE 25% ON OUR HEALTHY EATING REPORT. ENTER PROMO CODE HOLIDAY25 AT CHECKOUT. It's nearly the end of November, the traditional kick-off to holiday temptations. And it's a long season — Thanksgiving, family get togethers, office parties, New Year's Eve celebrations, right through to Superbowl Sunday. Many people find healthy eating difficult this time of year. Maybe you've settled into an exercise routine and eaten wisely for months and are worried about undoing all the good you've done. Or maybe you want to simply avoid adding pounds. Eager: All bets are off for you during the holidays. You jump at the excuse to "break your diet" and go all-out, sampling the variety of delicious holiday fare, thinking, "I can indulge...it's a special occasion!" Not a party person: The idea of holiday get togethers unleashes social anxiety for you. The upside is the food. To help you cope, you might treat yourself and eat a lot to make the event worth your while. Pleaser: You know how important it is to eat healthfully, and manage to do so when you're on your own. But when faced with social situations it's more important to you to keep relationships running smoothly and to feel part of the group. You don't want to offend anyone by refusing the eggnog, or the offer to take home the leftover pie. Self-conscious: Parties and holiday gatherings make you feel as if all eyes are watching what and how much you eat. The last thing you want is to look like you're "on a diet" or worse, hear about it. So you eat whatever is served and try to keep up with those around you. Balanced: If you eat well most of the time and usually pass on getting seconds or dessert, you probably have an easier time enjoying holiday treats. These are special occasions and indulging yourself can't be all that bad for you! Don't pass up special holiday foods, but skip seconds, or choose to eat two of your favorite cookies instead of four. Savor every bite and enjoy things in moderation this season! If there are certain foods that you really love and don't want to miss — like those creamy mashed potatoes or the dessert that's just calling your name — then limit ordinary foods like corn or a dinner roll to save calories where you won't miss them. Keep in mind that this isn't your only chance to eat these favorites. You can have pumpkin pie in March if you want to. Watch out for the treat that keeps on giving. Avoid leftovers — freeze or give them away to help limit overeating. Try to get back into healthy eating patterns the next day and you won't let special events become major set-backs. Food might be the one thing at a party that isn't going to stress you and might even make you glad to be there. But you might not feel so happy afterward. Remember that overindulging is a temporary fix and most likely just covers up how you're feeling inside. Consider other solutions for dealing with your social anxiety. Take along your knitting or offer to help your host to give yourself a little distance from the social interactions. You might be pleasantly surprised if you take a risk and join in the festivities! Pleaser: You don't like to make a scene or offend anyone by turning down food they put time into making, even when you'd rather not eat it. You just don't feel comfortable making your own needs a priority. The good news is that you can do what's right for you while also helping others feel happy. Rather than saying "No thank you," if you don't like to turn down an offer, try saying, "Thanks, that looks delicious, but I'm full." No one will take statements like that the wrong way, and you will still be able to make the healthy choices you want. Self-conscious: Making healthful eating decisions is tough when you feel like you're under a microscope. Many people will be taking moderate portions, so you probably won't stand out if you eat carefully. It's perfectly acceptable to say "No thank you" or "I'm full" when offered something. Keep in mind that although you might feel as though all eyes are on you, holiday events are pretty hectic, so it's unlikely anyone will notice or remember what you ate or drank. Try it and do the right thing for yourself! Balanced: You should feel great that your year-long efforts have left you feeling healthier and more positive. Because you're on track with your health goals, it's okay to treat yourself on special occcations. The most important thing is simply to return to your regular routine after the holiday. Use a small plate if you can and don't stack it high. Leaving space between each item on the plate is a simple and effective way to control portions. Either eat or talk—but don't do both at the same time. It distracts you from really enjoying what you're eating and before you realize it, you've eaten more than you intended. Most of all, enjoy what you do eat! Eat slowly and savor the flavor of each morsel. Remember, you don't need to eat a large amount to enjoy good food while celebrating with family and friends. Is a tanning bed safer than sunlight? Q. Does tanning in a tanning bed cause less damage than natural sunlight? A. 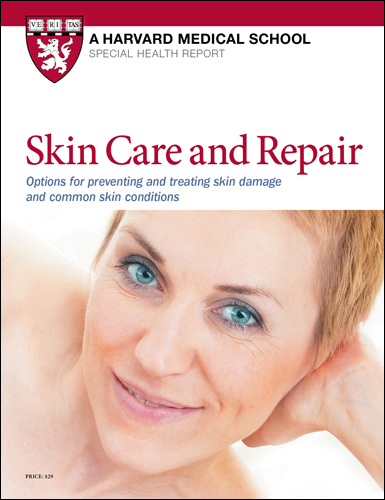 It doesn't matter whether you get it from the sun or from artificial sources such as sun lamps and tanning beds — ultraviolet (UV) radiation is linked to skin cancers (including basal cell carcinoma, squamous cell carcinoma, and melanoma) and to other sorts of skin damage, particularly premature skin aging (photoaging). UV radiation is one part of the spectrum of light that reaches the earth from the sun. At the UV end of the spectrum, the wavelengths are too short to be visible to the naked eye. They range in length from 100 to 400 nanometers (nm, or billionths of a meter) and are classified — from the longest to the shortest — as UVA (320 to 400 nm), UVB (290 to 315 nm), and UVC (100 to 280 nm). UVA rays, which penetrate deep into the skin, are responsible for tanning. UVB rays damage superficial skin cell layers, causing sunburn. UVC rays, the shortest, are considered harmless, since most UVC light is absorbed by ozone in the upper atmosphere and thus does not reach the earth. Of the UV solar radiation that does reach the earth, up to 95% is UVA, and about 5% is UVB. For years, scientists believed UVB rays were the most harmful, because sunburn is linked to melanoma, the deadliest form of skin cancer. But since the late 1980s, we've learned that UVA rays also increase skin cancer risk — and they are the main cause of photoaging. Tanning beds use fluorescent bulbs that emit mostly UVA, with smaller doses of UVB. The UVA radiation is up to three times more intense than the UVA in natural sunlight, and even the UVB intensity may approach that of bright sunlight. We first learned about the harmful effects of sunlight from long-term population studies. Our understanding of the risks associated with tanning beds has developed more slowly, because they are a relatively recent phenomenon, first appearing commercially in the United States during the late 1970s. Since the late 1990s, however, mounting evidence has shown a link between tanning bed use and all skin cancers. In 2002, a National Cancer Institute study found that use of an indoor tanning device was associated with a 50% increase in the risk of basal cell carcinoma and a more than 100% increase in the risk of squamous cell carcinoma. In 2007, the International Agency for Research on Cancer analyzed 19 studies on indoor tanning and the risk for melanoma. It concluded that people who started indoor tanning before age 35 had a 75% greater risk of developing melanoma. Since 2003, UV radiation from any source has been listed by the U.S. National Toxicology Program as a known carcinogen (cancer-causing substance). Currently, many government agencies caution against tanning. Laboratory research has helped us understand how tanning affects skin cells. Both UVB and UVA rays damage the cells' DNA, potentially causing mutations that may lead to cancer. This same DNA damage is the cause of tanning. In other words, tanning itself is a sign of DNA damage in the skin. Despite the clear evidence that it's unsafe, the use of tanning beds is on the rise. Nearly 30 million people in the United States tan in salons every year, most of them women between the ages of 16 and 49. Surveys show that many people understand the risks but continue to tan because they think it makes them look healthy. Meanwhile, the tanning industry makes misleading claims for the healthfulness of indoor tanning. One claim is that it helps build a base that protects against sunburn. It does, but only slightly — the equivalent of a sunscreen rated SPF 4 or less. Another claim is that tanning is a good way to stimulate the skin's production of vitamin D, a hormone that's essential to bone health and has been linked to a reduced risk for several cancers. But you can get all the vitamin D you need in a daily vitamin D supplement, which offers all the benefits without any of the risks to your skin.